Approximately 300,000 Finns have stopped the active use of Facebook since April, states Harto Pönkä, an independent social media expert and blogger. Pönkä writes in his blog that he set out to examine how the social media giant’s recent struggles in the area of privacy protection have affected its user numbers, finding that the number plunged by nine per cent – from 3.2 to 2.9 million – in Finland between April and August. Facebook has lost users particularly in the 30–39 age group, but its popularity seems to be on the decline in all age groups, according to data collected from the advertising tools of Facebook by Pönkä. He stresses that he is referring specifically to users who no longer seem to use the service actively, rather than users who have deleted their account altogether. The primary reason for the apparent exodus are privacy and data security concerns, according to Pönkä. 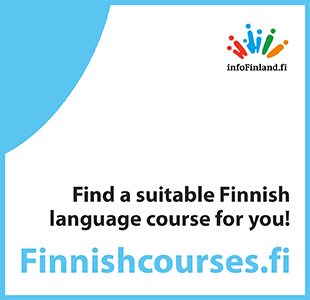 Facebook, he highlights, continued to see a steady increase in the number of users in Finland up until April. “It is justifiable to say the critical debate that has surrounded Facebook since the Cambridge Analytica scandal has led to a change in the attitudes of Finns. The [general data protection regulation’s] (GDPR) introduction has presumably also enhanced public awareness of privacy and data security issues on the internet, possibly affecting the choices of users,” he writes. Similar results were produced by a survey commissioned earlier this year by DNA, one of the leading telecoms companies in Finland. It reported that seven per cent of respondents who told that they have heard about the scandal have deleted and 11 per cent that they are considering deleting their account on Facebook. Instagram and WhatsApp, by contrast, have reported up-ticks in their user numbers. A Facebook spokesperson told Helsingin Sanomat on Monday that the social media service has an estimated 2.8 million active monthly users in Finland, reminding that the advertising tools cannot be used to draw any conclusions about changes in the user numbers. “They provide numbers for how many can see an ad and how the campaign can be expected to go. They are not meant to be used to estimate user numbers,” the spokesperson said in an e-mail to the newspaper.